Earlier this week, the Supreme Judicial Court issued its decision in Commonwealth v. Scott. In the decision, the SJC made it easier for defendants who were convicted of drug offenses involving Dookhan drug certificates, and who are now seeking to vacate their pleas. In April 2011, Scott was arrested. Following his arrest, officers found what they believed to be crack cocaine on Scott’s person. The suspected cocaine was then sent to the Hinton Laboratory in Jamaica Plain for testing. The lab subsequently issued a drug certificate identifying the substance as cocaine. Dookhan was the primary chemist listed on the certificate (primary chemists conduct preliminary testing and prepare the sample for use in confirmatory tests, which are more comprehensive). In September, 2011, before Dookhan’s wrongdoing had been made public, Scott pled out. After the lab scandal broke in August of 2012, Scott filed a motion to vacate his plea pursuant to Mass. R. Crim. P. 30(b) on the ground that his plea was not made knowingly and voluntarily, as is required under the law. Specifically, Scott claimed that his guilty plea invalid because he was not informed of Dookhan’s misconduct prior to the plea, and that her misconduct was material to his decision to plead out. The motion judge granted Scott’s motion to vacate his guilty plea and the Commonwealth appealed the judge’s order. Under Mass. R. Crim. P. 30(b), a judge may grant a motion for a new trial any time it appears that justice may not have been done. Under Massachusetts law, due process requires that a plea of guilty be accepted only where the defendant’s plea was intelligently and voluntarily made. A plea is intelligent if the defendant is aware of the elements of the charges against him, and the procedural protections he is giving up by pleading out. A plea is voluntary so long as it is not coerced. A defendant’s plea may be deemed involuntary because of external circumstances or information that later comes to light, including the disclosure of government misconduct. To satisfy the first prong, a defendant must show (a) that there was egregious misconduct; (b) by a government agent, prior to the entry of the defendant’s guilty plea; and (c) that the misconduct specifically occurred in the defendant’s case, i.e. the defendant must show a nexus between the misconduct and his case. The SJC adopted the Ferrara analysis and applied it to Scott’s case. In doing so, the SJC determined that the first prong of the test was satisfied. Specifically, the Court found that Dookhan engaged in the requisite egregious misconduct by making affirmative misrepresentations about the nature of the substances in cases where she had not in fact properly tested them. The Court stated that this conduct was attributable to the government in light of the fact that Dookhan tested the drugs, reported to the prosecutor, and was responsible for safeguarding the evidence. Lastly, the court determined that even though Scott and similarly situated defendants would not necessarily be able to demonstrate a nexus because it is likely impossible to identify each of the cases in which Dookhan engaged in misconduct, the fact that the misconduct “touched a great number of cases,” was enough to satisfy the nexus requirement under the circumstances. The Court therefore held that in cases in which a defendant seeks to vacate a guilty plea under Mass. R.Crim. P. 30(b) as a result of the revelation of Dookhan’s misconduct, and where Dookhan was the primary or confirmatory chemist, the defendant is entitled to a conclusive presumption that egregious government misconduct occurred in the defendant’s case. Unfortunately, satisfying the first prong of the Ferrara analysis is only half the battle. Under the second, materiality prong, a defendant must show that the misconduct had a “material influence on the his decision to plead guilty.” Specifically, a defendant must “demonstrate a reasonable probability that he would not have pled guilty had he known of Dookhan’s misconduct.” This is a totality of circumstances test. In it’s analysis, the SJC borrowed Ferrara’s list of non-exclusive factors and imported several factors of its own from its ineffective assistance of counsel cases into the “reasonable probability inquiry,” including the proposition that a defendant must convince the court that a decision to reject the plea bargain would have been rational under the circumstances. 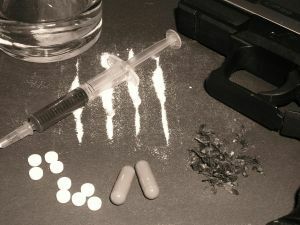 The SJC pointed out certain “relevant facts” that the motion judge might consider in Scott’s case, including: “whether the Commonwealth possessed other circumstantial evidence tending to support the charge of drug possession,” the “generous terms of the sentence reduction he received,” and any collateral consequences he may have avoided as a result of the plea deal. The SJC then remanded Scott to the trial court for the judge to determine whether Scott can, in the totality of the circumstances, demonstrate a reasonable probability that, had he known of Dookhan’s misconduct, he would not have pled out and would have insisted on taking his chances at trial. If you or a loved one pled out to a drug case in which Annie Dookhan was either the primary or confirmatory chemist, you may be able to vacate your plea. Attorney Daniel Cappetta can help you determine whether it makes sense to take such legal action, and guide you through the process. Call him for a free consultation today.